I just wanted to confirm, if you are adding languages one by one or if you have added them all then doing the translation? Also once you add the translation and close all windows do you get an error that there are more fields to be translated? If so, can you please try adding one translation then saving it. Following this try to save the jotform and then again going to translations to save the next one and let us know if the same repeats itself again. I have added the various languages at the same time (French and German). I get the error message, presumably because I haven't translated all field for both languages when I save. I was hoping to be translating the form bits by bits. 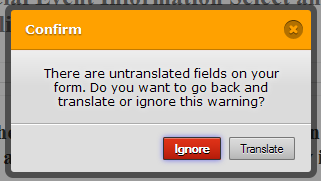 Does that mean that I should delete the existing translation and start over again one language at the time? 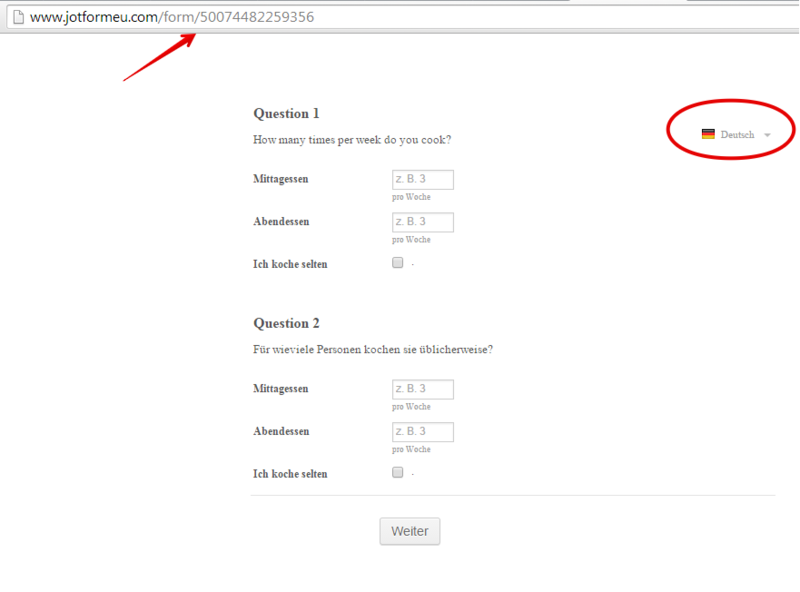 This is the jotform http://www.jotformeu.com/form/50074482259356 I assume since you actually have only one on your account. I test the form and used the translation tool. 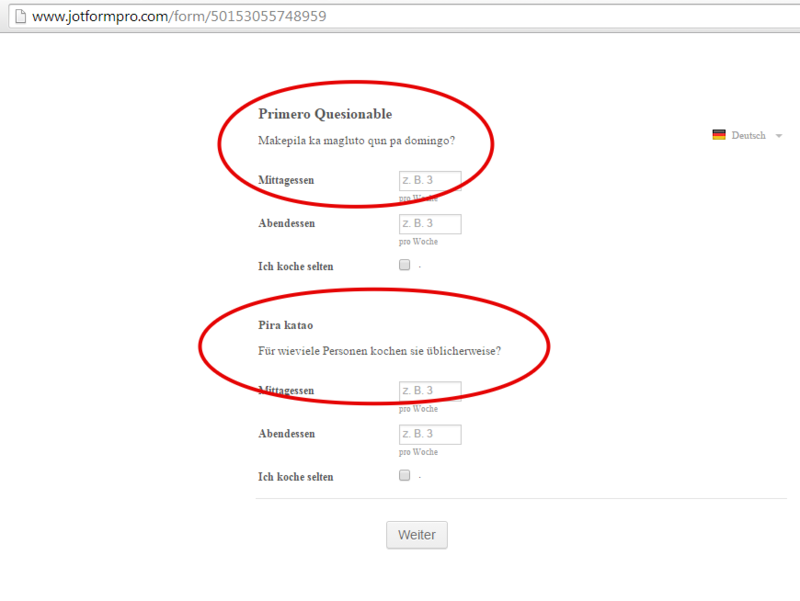 But I did not encounter the any issue.. the language/text on the form translates according to the selected language. Can you please confirm if the issue remains? Since there is an auto save, if the form is open 2x, the other open instance might be saving the form to its original state while working/modifying on the other instance. Thank you for clarifying that. I can see it also on my previous screenshot. 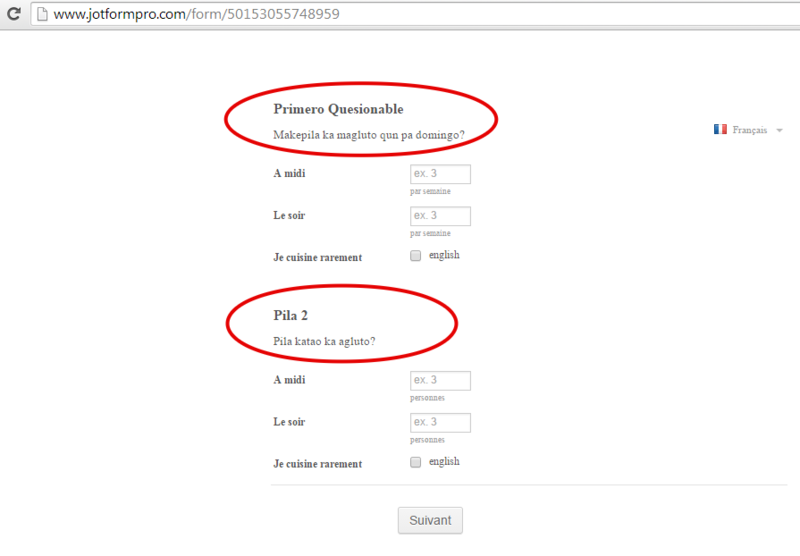 I saved the form, and also 'ignore' the warning for some still un-translated text. If you test my form, you can see that the translation I saved for the headers text were taking effect. Now I maybe wrong, but I am suspecting also that perhaps there are some characters in your own language translation (to German and French) that were being ignored by the tool. 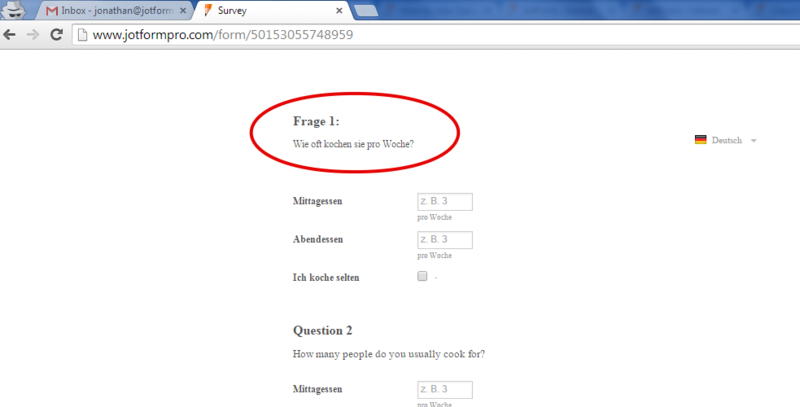 Can you share to me the translation for "Question 1" and 2.. and "How many times you cooked per week" in German and French. I will apply it on my test form and check if it will be ignored also. Combien de fois par semaine cuisinez-vous ? Wie oft kochen sie pro Woche? I had applied your translation., and you can see it was saved properly and did not revert to English. Can you please retry again at this time. Check if it had fixed by itself... I am not sure what really happened during the time you encounter the issue, but I could not reproduced it, so I could not also suggest a resolution. Let us know if issue remains. 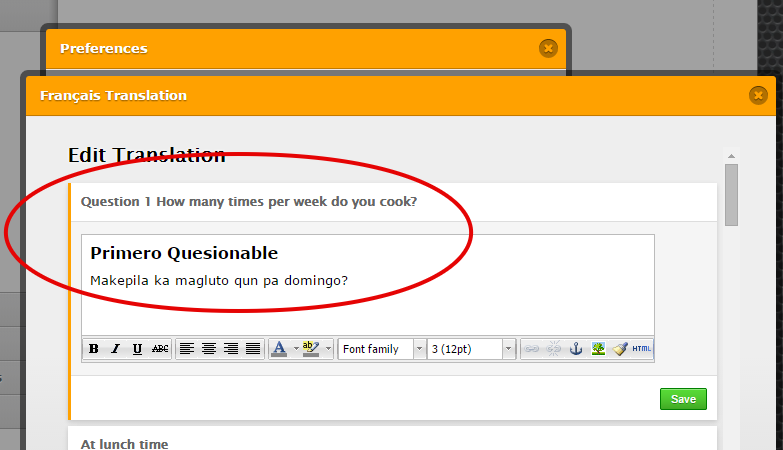 I have now edited again the incorrect question (e.g. question 8 and 9). theses are now good but the other (e.g. 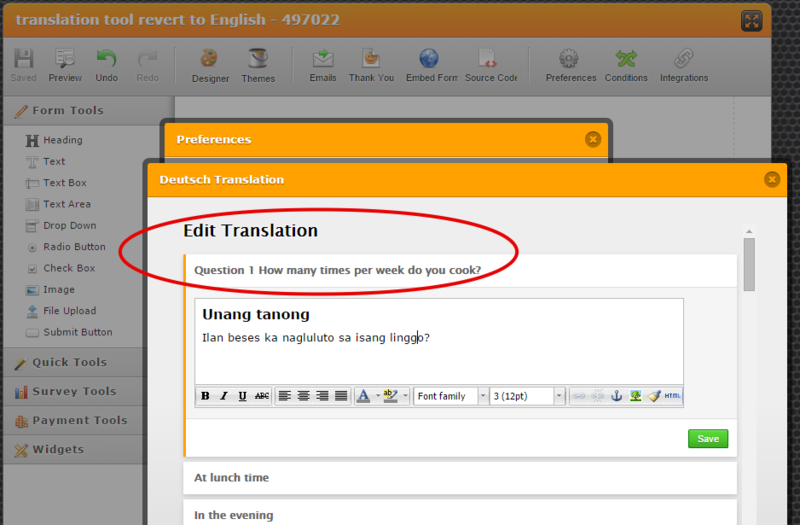 question 1 and 2) reverted back to english. This doesn't make any sense! Can you clone the form of my colleague jonathan and work on it instead? See if the problem still persists on that form. Let us know if this solves the problem. 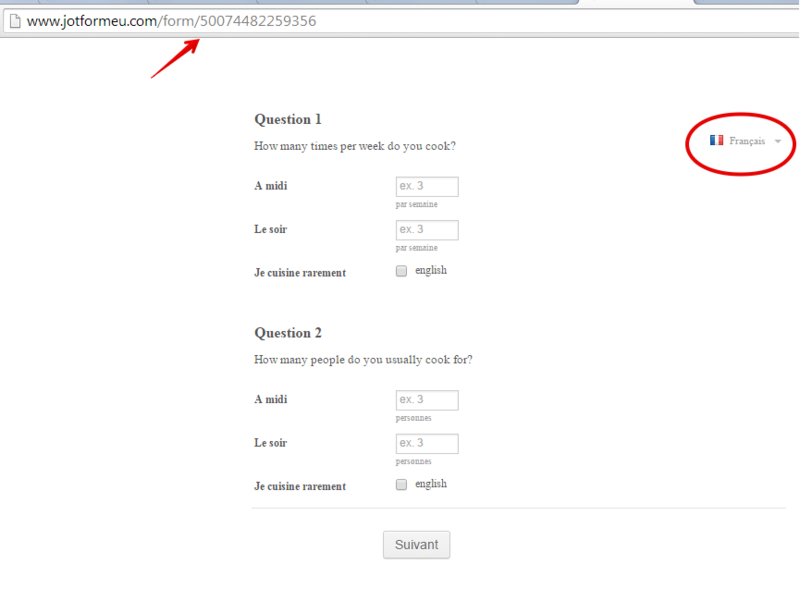 But the "english" is only shown right of the checkbox when you select French, otherwise there is nothing there. Just wanted to check if that is the way it should be or if there are still some issues?